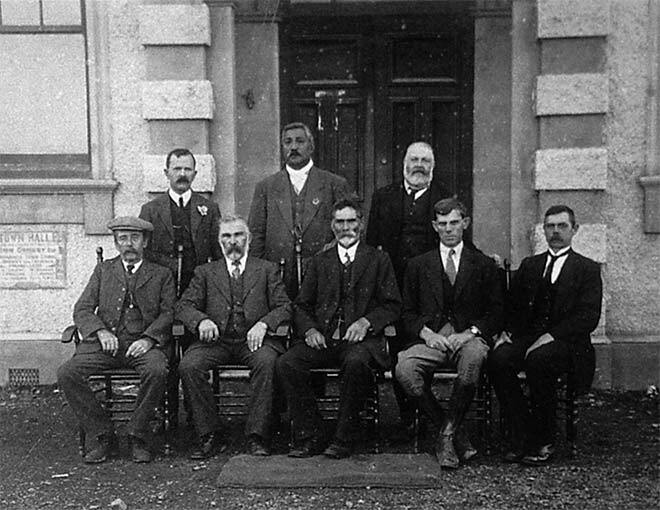 In this 1912 photograph of the Otorohanga Town Board, chairman John Ormsby is seated in the centre. In the same row, from left, are F. Mace, W. Vicary, H. J. Osmund and M. Cowley. In the back row, from left, are T. G. Hosking, H. W. Hemara, and C. J. Johnson.